Presented by Palace, the German Film Festival is excited to expand its footprint in 2019, screening at Palace Cinemas across Melbourne, Sydney, Brisbane, Byron Bay, Canberra, Perth and Adelaide from 21 May. With the best new films from Germany, this year's program, presented in collaboration with German Films, showcases festival favourites, works of auteurs as well as the brightest new talent. 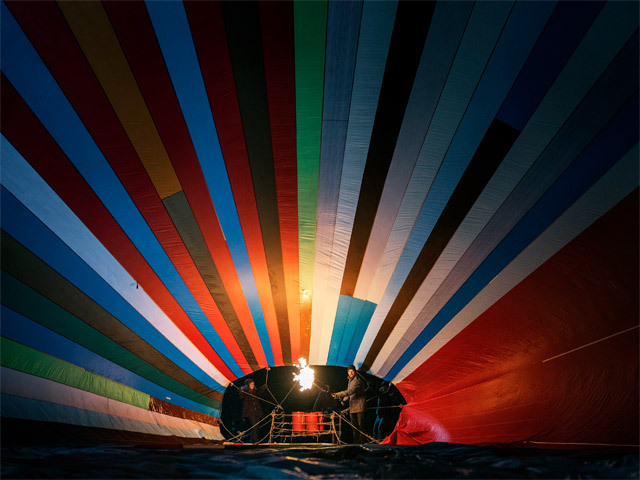 The opening selection, BALLOON (Ballon) by Michael 'Bully' Herbig is a spectacular and thrilling true story of two ordinary families who extraordinarily escape from East to West Germany in a homemade hot air balloon. Starring Karoline Schuch, David Kross, Friedrich Mücke and Alicia von Rittberg the story of the 1979 flight from the GDR is perfectly timed for the 30th anniversary of the fall of the wall. BAUHAUS SPIRIT: 100 YEARS OF BAUHAUS (Vom Bauen der Zukunft - 100 Jahre Bauhaus). Set against the backdrop of its 100th anniversary this documentary portrays the fascinating history of Walter Gropius' Bauhaus, one of our century's most influential architectural schools that still shapes our society today. 100 THINGS (100 Dinge), an hilarious comedy which sees childhood friends Paul (Florian David Fitz) and Toni (Matthias Schweighöfer) make an impossible vow to rid themselves of all possessions for 100 days. Competing in both San Sebastián and Toronto Film Festivals, THE INNOCENT (Der Unschuldige) by Swiss director Simon Jaquemet is a psychological thriller, which boldly approaches spiritualism with a scepticism that both challenges and embraces people's capacity to believe. And straight from competition at the Berlin International Film Festival comes Austrian production THE GROUND BENEATH MY FEET (Der Boden unter den Füßen) in which Valerie Pachner delivers a standout performance as Lola, a workaholic torn between the corporate world and family in writer-director Marie Kreutzer's pertinent psychological thriller-meets-drama. The Goethe-Institut will again contribute the popular sidebar "Kino for Kids", a program especially dedicated to children and teens. Director Sonja Griegoschewski said: "We congratulate our long-term partners Palace Cinemas and German Films on yet another exciting festival. For the Goethe-Institut, it is a fantastic opportunity to reach out to young audiences, schools and families. "Kino for Kids" makes learning German more fun and helps to keep multilingualism alive in Australia. Hopefully the festival will also inspire a new generation of cinema lovers."